Summer Dreams captures the feeling of sailing on an open sea! Diffuse essential oils as you sail through summer, or dream of summers past and future! 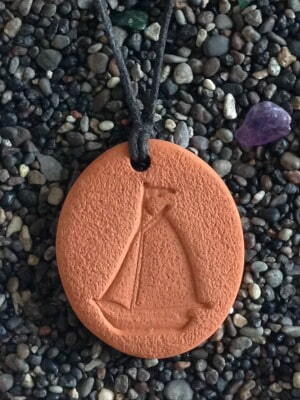 The Summer Dreams Pendant measures 3.25 cm by 3.75 cm (1 ¼ by 1 ½ in).